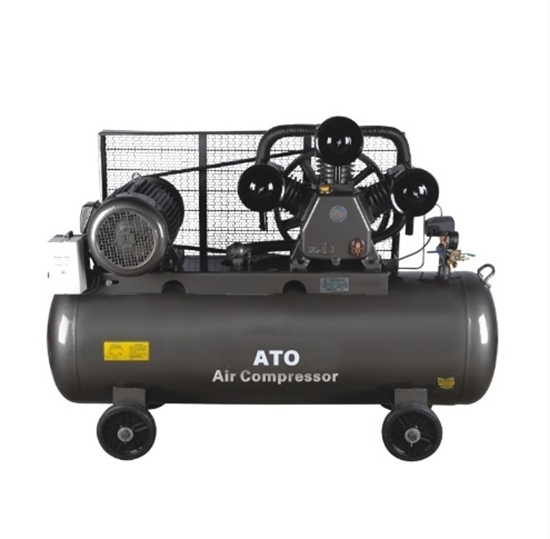 A belt driven air 10 horsepower air compressor comprised of a aluminium 2-stage air pump with cast iron cylinders and a smooth running electrical motor. 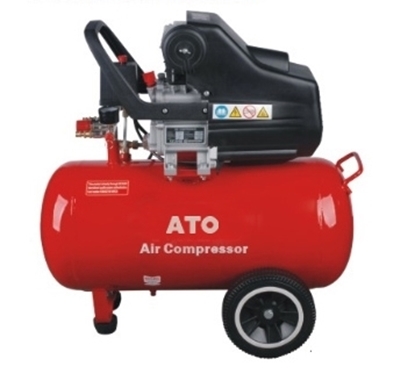 It has 12.5 Bar 175 PSI maximum pressure, 48 gallon, 60 gallon, 80 gallon receiver capacity are optional. Oil-lubricated beil drive air compressor is designed with a slow-running compressor block for exceptional long service life. Cast iron cylinders with low-speed pistons have traditionally been recognized for their durability. 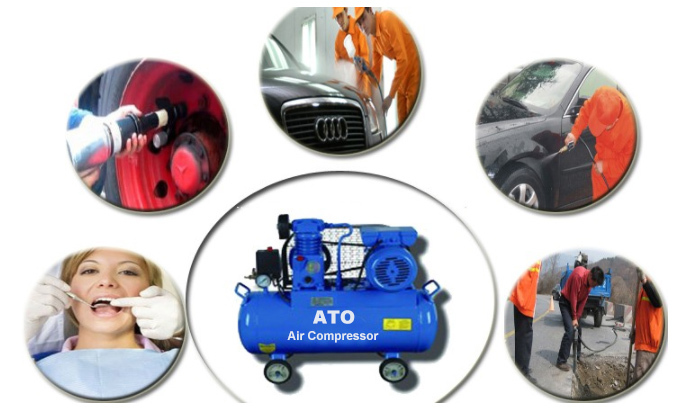 Tips: How to solve the vibration of piston air compressor? The basic cause for the vibration of the piston air compressor is that it is affected by alternating load. 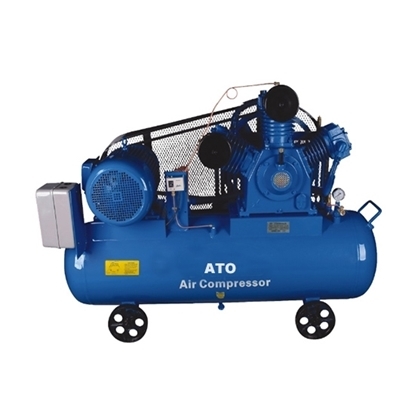 There are two kinds of alternating loads acting on the piston air compressor device. One is the unbalanced piston inertia force, and the other is the interference force caused by pressure fluctuation of un-continuous air supply and strong gas piping. Processing method: Vibration caused by the imbalance of the inertia force should be eliminated and reduced as much as possible from the structure of the machine. 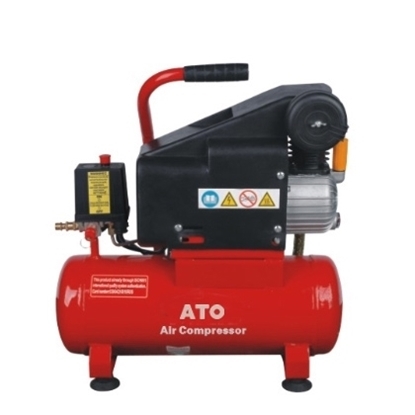 In addition, there should be strict requirements for the basic design and construction of the air compressor. The installation of the machine must comply with the regulations, so that the vibration of the machine can be reduced as far as possible, and the amplitude and vertical amplitude can be maintained within the permitted scale. We usually take measures as follows to eliminate the device vibration caused by air pressure fluctuation. A buffer should be added near cylinder discharge pipe gas fitting. The pore plate should be set on the gas pipeline. 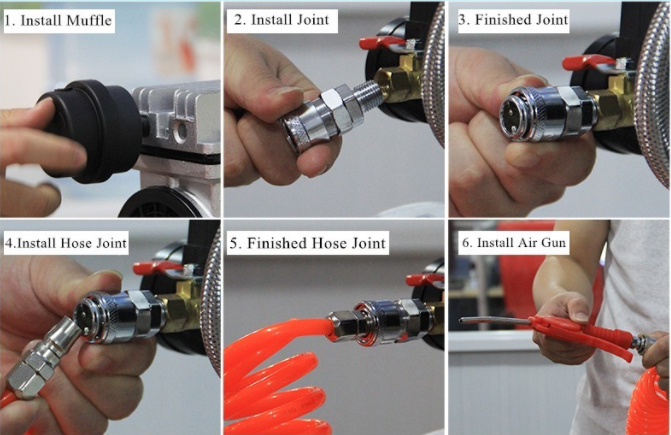 This method is usually set applied to gas fitting where there is a long distance from the cylinder to the buffer tank. We should have reasonable installation of pipeline fulcrum by using absorber and the piping layout should be as straight as possible, especially to avoid the right angle bending.